For those who are working on a strict budget or who prefer to rely on home remedies for treating their acne, one good solution is oatmeal. 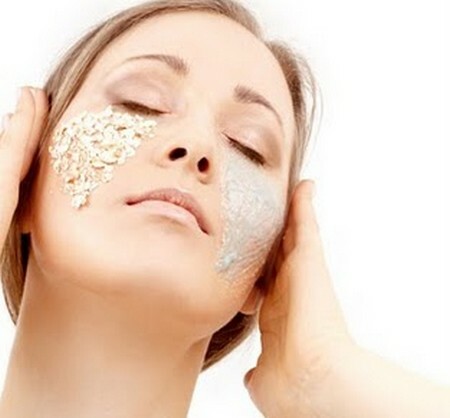 In recent years oatmeal masks and related products have grown increasingly popular. There are many acne solution products today that use oatmeal as primary components. If you can’t buy these products, you can make an alternative or a do-it-your-own treatment at home. First you will need oats and a grinder. You can finely grind these oats and use the meal as a facial scrub as an alternative to your usual facial cleanser, or you can cook it with warm water and apply it directly on your face after it cools. For a more extensive oatmeal treatment, here are some procedures you can do in the comfort of your own home. 1. Prepare your oats and grind them in a coffee grinder. After that, in lukewarm water dissolve the grinded oatmeal and apply it generously to all affected areas. Pat your face with an absorbent cloth or a towel, making sure you don’t rub it since that may cause irritation; that is, if your skin gets irritated, it can worsen your current condition. 2. Cook your oatmeal and let it cool completely before applying it to your face. Once you have applied it, let it dry on your face until it flakes or becomes dry. When pieces of it are dry and start to flake off, you can wash your face with water to remove the oatmeal mask. Make sure you use lukewarm water to rinse your face. 3. You can use oatmeal as a facial scrub to treat your acne. All you need to do is add warm water to dry oatmeal, using only enough liquid to make it damp but not enough to thoroughly soak it. Then apply it to your face. Use a wash cloth to gently rub your face as if you were washing it with a facial cleanser. 4. Make oatmeal one component of your skin program routine that also includes other natural remedies and treatments. Make sure you drink eight to ten glasses of water every day to flush all toxins from your body. Eat plenty of fruits and vegetables to help eliminate bacteria that can cause acne. Water, fruits and vegetables are not only important in keeping a balanced diet, but they also help in achieving a skin that glows. 5. Repeat these oatmeal procedure steps twice daily if you can. Eating oatmeal and including it in your everyday diet can help, too.